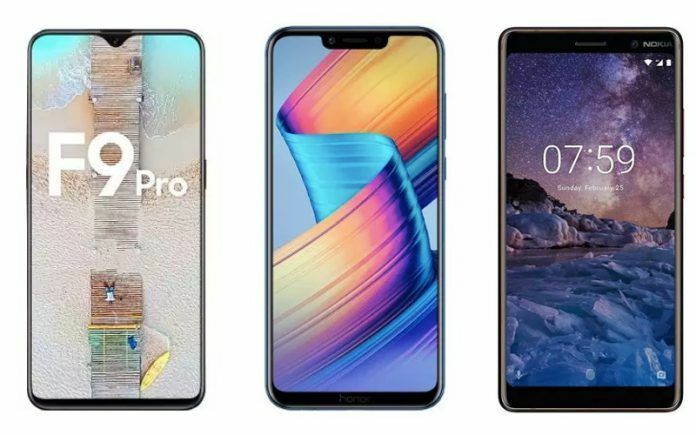 Oppo F9 Pro: Could Oppo Phone Give Tough Competition to Honor Play, Nokia 7 Plus in Mid-range? The upcoming release of the Oppo F9 Pro could create ripples in the mid-range market. 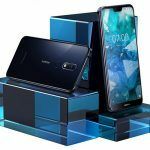 Oppo has issued invitations for its launch event of the Oppo F9 Pro, which is shaping up to be a decent device and could spell trouble for the Honor Play and Nokia 7 Plus. The Oppo F9 Pro has appeared on Geekbench giving a glimpse into the performance capability before its released achieving a score of 5673 in the multi-core test. 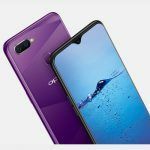 The OPPO F9 Pro succeeds the OPPO F7 smartphone that was launched back in March this year, and the latest rumors peg the screen at 6.3-inches with a Full HD+ notched display at 2280 x 1080 pixels resolutions and 19:9 aspect ratio. It will be powered by an octa-core MediaTek Helio P60 12nm chipset combined with an ARM Mali-G72 MP3 GPU, 4GB/6GB of RAM and 64GB/128GB storage options. The storage on the F9 Pro could be further expanded up to 256GB via microSD card. For the camera, the phone will sport 16MP+2MP dual camera setup at the rear with LED flash and f/1.85 aperture, as well as a 25MP selfie shooter at the front with Sony IMX576 sensor and f/2.0 aperture. Also, according to previous reports, the F9 and F9 Pro will be the industry’s first smartphones to come with Gorilla Glass 6. 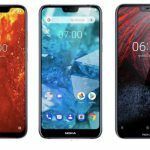 While the specs are still all rumored, so subject to change, it does mean that the Oppo F9 Pro could go toe-to-toe with the likes of the Nokia 7 Plus and Honor Play. How the Nokia 7 Plus and Honor Play compare to the Oppo F9 Pro? 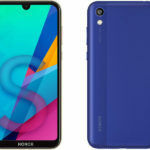 The Honor Play features a 6.3-inch 1080 x 2340 19.5:9 ratio display at 409 pixels-per-inch, while the Nokia 7 Plus sees a smaller 6.0-inch 1080 x 2160 18:9 ratio display at 403 pixels-per-inch. 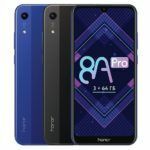 The Honor Play is powered by Huawei’s own Hisilicon Kirin 970 Octa-core (4×2.4 GHz Cortex-A73 & 4×1.8 GHz Cortex-A53) processor while the Nokia 7 Plus has a more traditional Qualcomm Snapdragon 660 Octa-core (4×2.2 GHz Kryo 260 & 4×1.8 GHz Kryo 260). The Huawei Honor Play can see up to 6GB of RAM included depending on the configuration selected, while the Nokia 7 Plus has 4GB of RAM with both devices coming with 64GB of internal storage. On the camera front, the Nokia 7 Plus has a dual camera setup with a 12-megapixel f/1.8 sensor paired with a 13-megapixel f/2.6 lens, while the Honor Play takes a different approach with a 16-megapixel f/2.2 rear camera paired with a 2-megapixel depth sensor. Both devices have a 16-megapixel front-facing camera, but the Nokia does offer the Carl Zeiss lens enhancement. Specs are only one half of the story as ultimately most purchasing decisions come down to price. 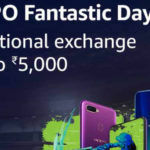 While there is no official price of the Oppo F9 Pro, going by the various speculations, the OPPO F9 Pro will be in the sub-30K segment in India, with other markets seeing the Oppo F9 equate to ₹ 20,000. The Nokia 7 Plus comes in at ₹ 22,132 while the Honor Play is available for ₹ 19,999. The Oppo F9 Pro is shaping up to be an extremely competitive device if the rumors are to be believed. If the price of the device is to be ₹ 20,000, then the better screen and camera would make the F9 Pro a much more compelling option when considered against the Nokia 7 Plus and Honor Play. Which device would you pick? Let us know in the comments below. Our resident Brit, Dan loves to write about anything tech, and has been doing so for a long time, with a personal interest for all things Android. Dan has been associated with some of the tech publications like AndroidAuthority. He loves exploring new gadgets and sharing industry insights on MySmartPrice.